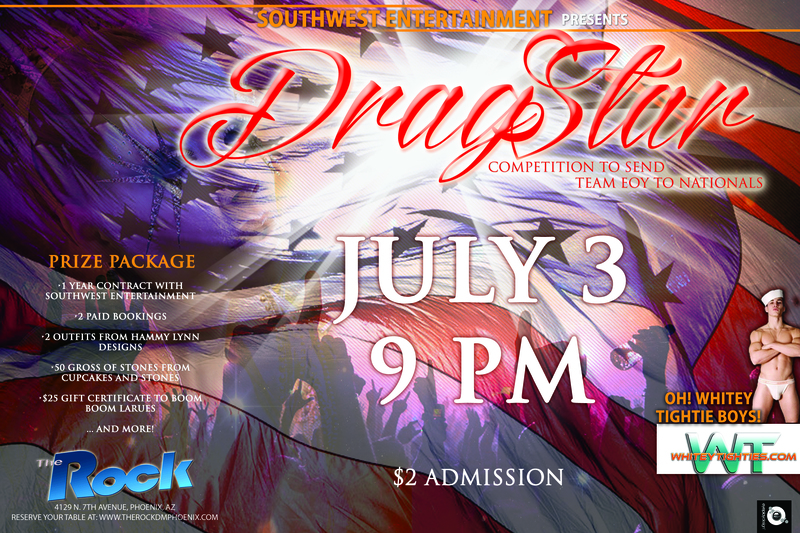 PHOENIX, AZ — Kick off your fourth of July weekend with Southwest Entertainments presentation of Drag Star. Drag Star has 4 contestants left in the competing for the title of Drag Star 2014. The competition has been a fundraiser to help the Arizona teams of Entertainer of the Year pageant system get to Nationals. Start the long weekend with cheering on one of the drag competitors that bring the fiercest game and see who is one step closer to becoming the next Drag Star. Join us have a great time, drink specials and celebrate!